Our first day of scuba diving in Punta Carrion, Galapagos (Ecuador) starts early. Punta Carrion is near to Santa Cruz Island and it is also known for snorkeling and swimming. 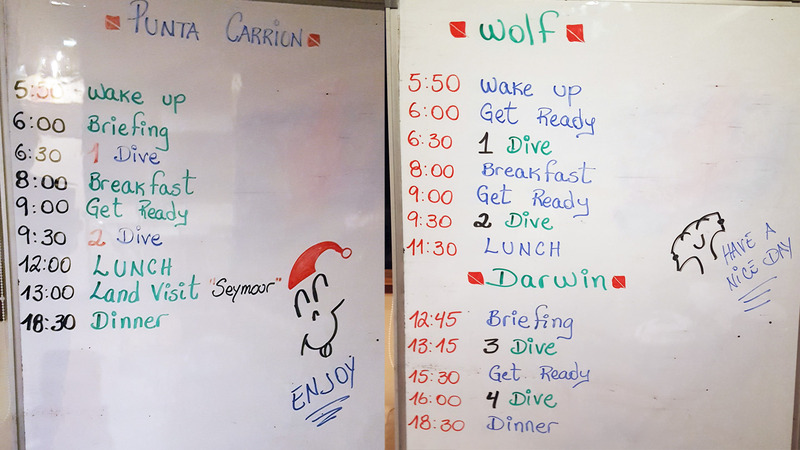 The below pictures are typical our daily schedule in our scuba diving boat/liveaboard. The dive masters who will guide us, wake us up at 5:50 am for a briefing about the dive site then we have to start preparing our dive gear for 6:30 am diving. No surprises. It is not our first time that we have to wake up early for scuba diving. Once we had to wake up at 5 am to see the thresher sharks in Malapascua (the Philippines). At least we don’t have to take shower for early morning dives…(btw, I did brush my teeth before the diving 😉 ). The average water temperature in Punta Carrion dive site is 20-21°C (68-70°F). I wear 5 mm wetsuit with 3 mm surfing neoprene jacket. I hate wearing a hood and gloves for diving, thus I don’t use them. But really, don’t be like Indah when scuba diving in the cold water. The hoods and gloves will keep you warm. In my defense for not using them is I am used to cold water due to weekly swimming activity. The sea water at the surface is calm and we go down easily without trouble. The first thing I see is the blue colored nudibranch. Tambja mullineri species that endemic to Galapagos. They are scattered around the rocks. I find a rock that full of these nudibranchs. Few of them are mating too. I guess that’s how the nudibranch gets to do to keep them warm up in cold water. Aside to the nudibranch, the sunflower corals, starfish, and grumpy looking fish are common to see. Another special marine life that I see is called Tulip Snail (Pleuroploca princeps). I have seen snails in the ocean before but I have never seen a colorful body like this one. It is a great start diving in Galapagos. 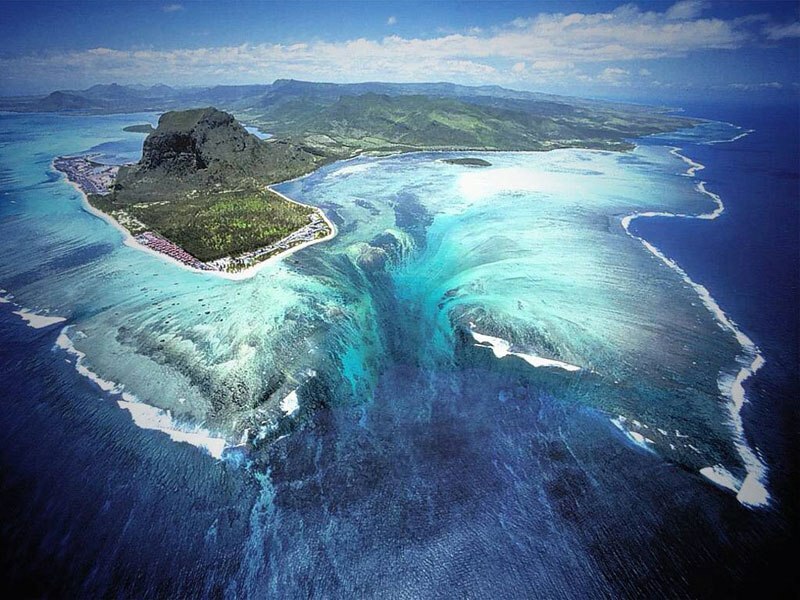 Now we are going to sail to the famous Wolf and Darwin Islands, home to the world’s largest shark biomass (source). We are ready to see the big daddies and mamas of the ocean in the northern Galapagos Islands!